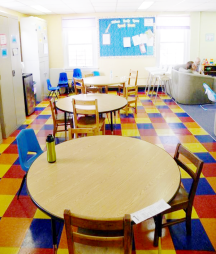 The Melrose Family Room is a cooperative of families of infants and young children through age six. 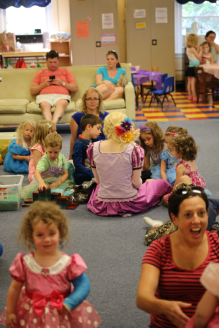 We provide space for families to play, talk, discuss parenting concerns and get to know other families. What's Happening at the Melrose Family Room? The Melrose Family Room's drop-in play space for members has arts & crafts activities and toy stations ready for play anytime we're open. Learn more. We also schedule regular events for our member community to connect, and host private parties for members. Check out the latest upcoming events below. View a full list of events on our calendar. Interested in becoming a member? Learn more about membership on our Become a Member page.